I’m starting to think that Drew and I could get very used to weekends where we don’t have to travel or be anywhere in particular. We didn’t have a list of “must-do’s” but still managed to have a fun, entertaining weekend. After hearing from multiple sources how great–and addictive–the new Netflix series House of Cards was, we decided to start watching it. We spent the majority of Saturday afternoon doing just that. Six episodes back-to-back if I recall correctly. It was just that good. Besides, after going for a run that morning, I didn’t feel too bad about relaxing the rest of the afternoon. I’ve never been one to closely follow politics, but it becomes a completely different story when you throw Kevin Spacey into the mix. Even though it’s been over a decade, I will always remember him most as the social studies teacher in Pay It Forward. 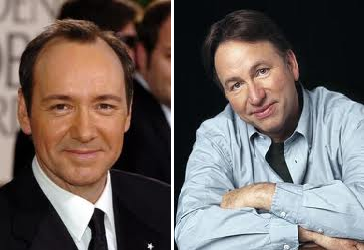 Within a few minutes of the first episode, I told Drew that I thought there was an uncanny resemblance between Spacey and the late John Ritter. I don’t think he saw it. Anyway, after watching a few more episodes last night, we are now 3 away from the finale. If you have Netflix, I highly recommend this show. By the evening we were ready to move about and do something fun. We’d been wanting to visit the newest brewery to hit Atlanta, Monday Night Brewing, ever since we’d initially heard about it from our close friend Katie months ago. The brewery actually has a very cool story; it grew out of a men’s bible study. That night they were having free tastings and a tour (the tour never happened, unfortunately). MNB is unlike any other brewery: a full wall of men’s neckties, a shuffleboard, and a giant framed mustache are just some of its charm. The beer I tried, called Fu Manbrew, wasn’t half bad either. I’m looking forward to many more trips–Monday nights or not–to the brewery. And one of these days hopefully I’ll get that tour! 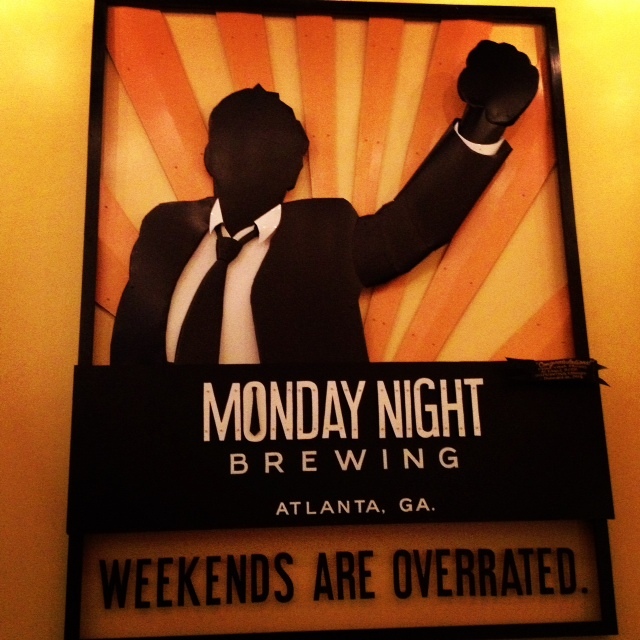 Great artwork is all over Monday Night Brewing. 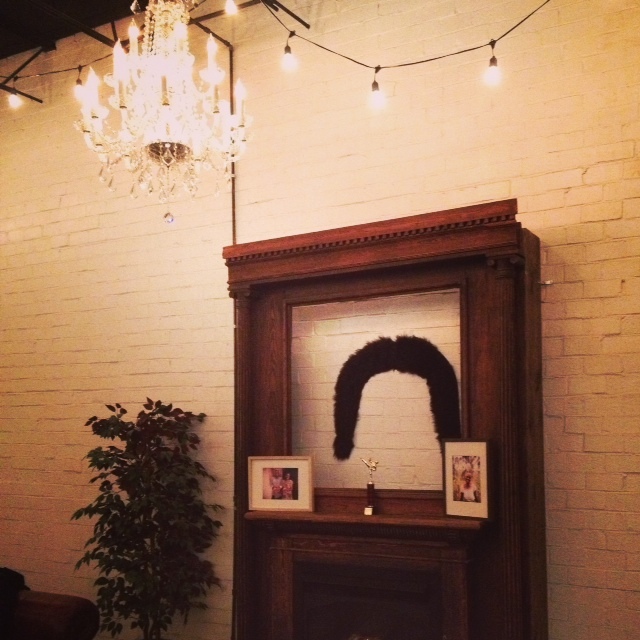 The framed mustache. Next to a chandelier. Sounds silly but it works. The Oscars are by far my favorite awards-type show. All the events leading up to them (Golden Globes, SAG Awards, etc.) just always seem so dull in comparison. I think one of the highlights one of the night, which wasn’t even aired, was Jennifer Lawrence’s behind-the-scenes interview with the press after winning the Oscar for Best Actress. I’ve been a fan of hers ever since seeing The Hunger Games, and this video just solidifies that. She’s also from Kentucky, so that doesn’t hurt either.